An assurance of security for those who trust in the LORD and are purehearted. Psalm 125 is one of fifteen "Songs of Ascents" (120-134) the Israelites sang as they went up to worship at the temple in Jerusalem. As a testimony to the security of those who trust the LORD, this psalm appropriately follows 123 (a prayer for deliverance from the contempt of surrounding nations) and 124 (praise for such deliverance). Recalling the security of Mount Zion as the city surrounded by God's sure protection (see also 122 and other related Zion songs: 46, 48, 76, 84, 87, and 137), the psalmist assures all who trust in the LORD that God will similarly keep them safe (st. 1), especially from foreign oppression. But only the pure in heart can take comfort from this assurance (st. 2); those who cherish evil will perish with the wicked. The psalm closes with a plea for peace upon the LORD's people (st. 3). 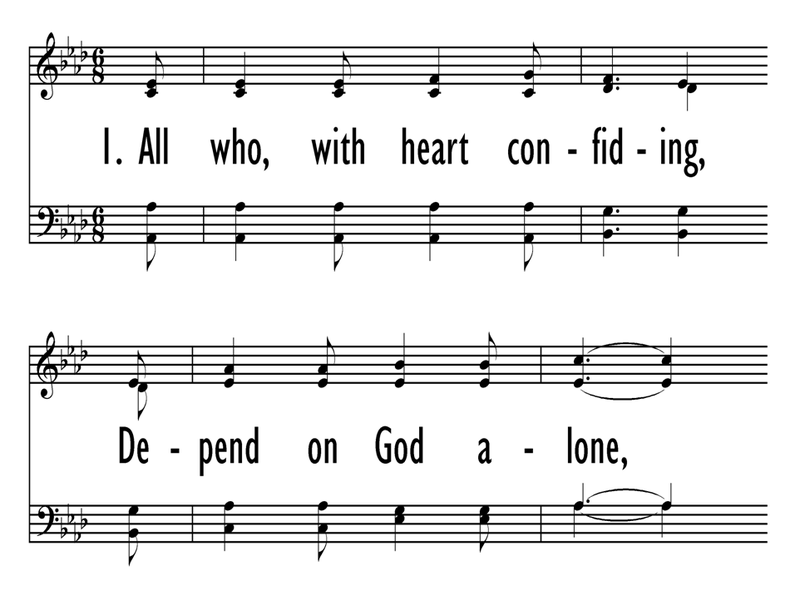 The (altered) versification is from the 1912 Psalter. Both as a benediction (from God to the people) and as a prayer for peace (from the people to the LORD). KNOWHEAD, by Charles H. Gabriel (PHH 24), was the setting for Psalm 125 in the 1912 Psalter. 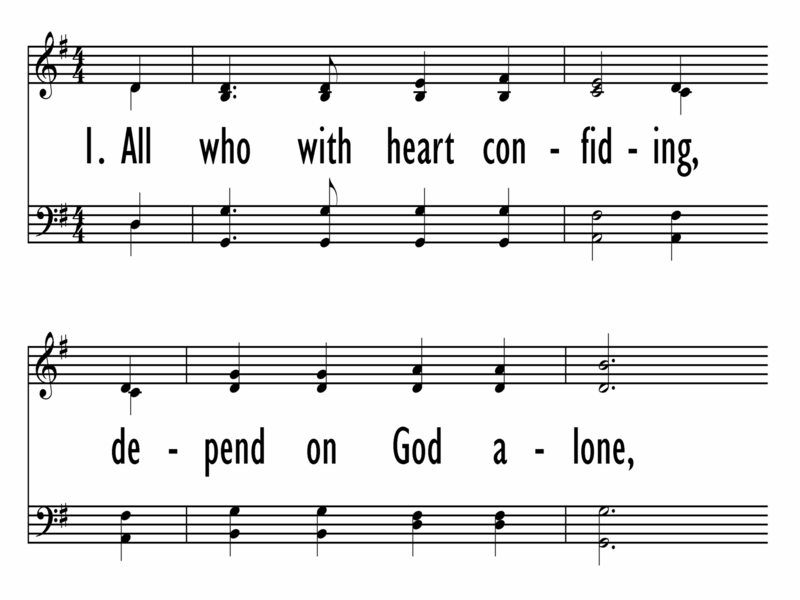 For the 1987 Psalter Hymnal, KNOWHEAD was adapted from the original 6/8 to 4/4 meter, and its rhythmic patterns were made consistent from one line to another. Harmony singing goes well when feeling two beats per measure.